Verso Ceramic Shower Tray 90cm Round Slim - Carini Stores Ltd.
Verso Ceramic Shower Tray 90cm Round Slim. 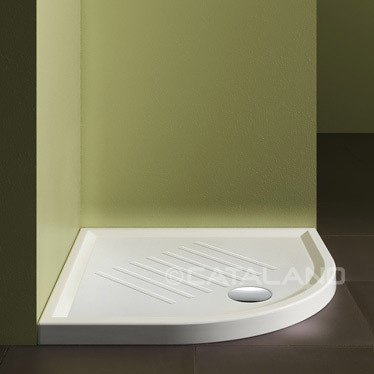 Corner shower tray. Installation at floor level or laid on. Surface with special embossed anti-slip finish.